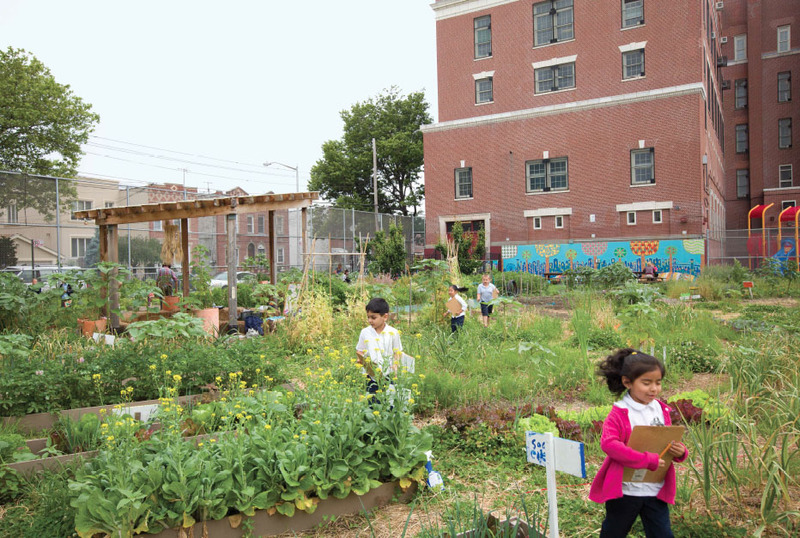 Many studies show the effect of urban agriculture initiatives, whether in school or early childhood education or other settings. Indeed, it promotes awareness of biodiversity; contributes to the improvement of fitness and a healthy diet; allows you to reconnect with nature and develop a strong sense of belonging to your environment. This training proposes to give the necessary tools for the establishment, animation and management of educational and educational gardens, while exploring inspiring initiatives. It will provide participants with practical knowledge and pedagogical tools to use gardening as a lever for active pedagogy. Also, it will be a space for sharing experiences, concrete resources for starting such projects and a networking space, in order to support the global movement of educational and educational gardening. This training is intended for teachers, teachers, presenters, working with various clienteles and wishing to set up urban agriculture projects in their institution, their center of early childhood, their community or other medium. The training will be given by Karine Lévesque, in collaboration with Christelle fournier and with the participation of Éric Duchemin, scientific and training director of AULAB. Karine Lévesque holds a Bachelor’s degree in Special Education from UQAM (2002) and a DESS in Educational Administration from UdM (2009). In December 2016, she completed the short graduate program in environmental education at UQAM. Since 2002, she teaches students with disabilities or social or academic difficulties and is constantly looking for new projects to get young people into school and then motivate them. Following his participation in the 7 thsummer school on urban agriculture, she developed a real passion for food justice and urban agriculture. In 2015, she set up the “Les jardins des Patriotes” project, which has become a large-scale project, supported by several organizations, within the Micheloise community north of Montreal. Christelle Fournier is an assistant in agroecology and permaculture. She is currently implementing numerous collaborations in Montreal with the Gamelin Gardens, the Croisée de Longueuil’s solidarity garden and the Champs des possibles. Already the 1850 law on public education places elementary agriculture among the optional subjects of education in primary schools. It is important to familiarize the children of the rural communes early with the good agricultural practices and to make them love the work of the fields. In a predominantly rural France, the maintenance of populations is an economic and political issue. Victor Duruy takes up again the idea expressed by the teachers during the inquiry of 1861, of a more practical, adapted and reserved teaching to the children of the primary school. In his instructions of 1867, he asks the teachers of the rural communes to endeavor to give, by the choice of dictations, readings and problems, an agricultural direction to their teaching, either in the class of the day, or in that of evening, and from time to time, in their adult classes, after the ordinary lessons of writing, calculation and spelling, agricultural readings accompanied by explanations and advice.Teachers must make every effort to annex a garden to their school, in order to exercise the children in the practice of horticulture. The county councils are authorized to modify the regulations of the primary schools, as to the fixing of the hours of work and the time of the holidays, in order to reconcile the classical exercises with the works of the fields. A teaching of agricultural concepts in primary school seems to be the solution against the desertification of the countryside. The teaching of elementary notions of agriculture becomes compulsory in 1882. The Spuller circular of December 11, 1887, reaffirms the need for the existence of a garden for any new school construction.